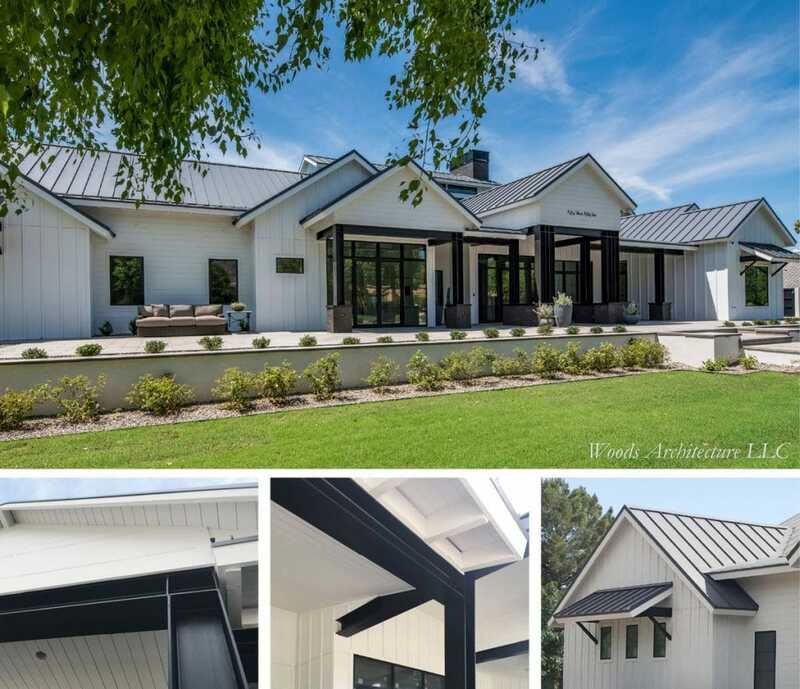 Woods Architecture LLC & Seven Development collaborated on this modern farmhouse residence in Arizona with spectacular results. 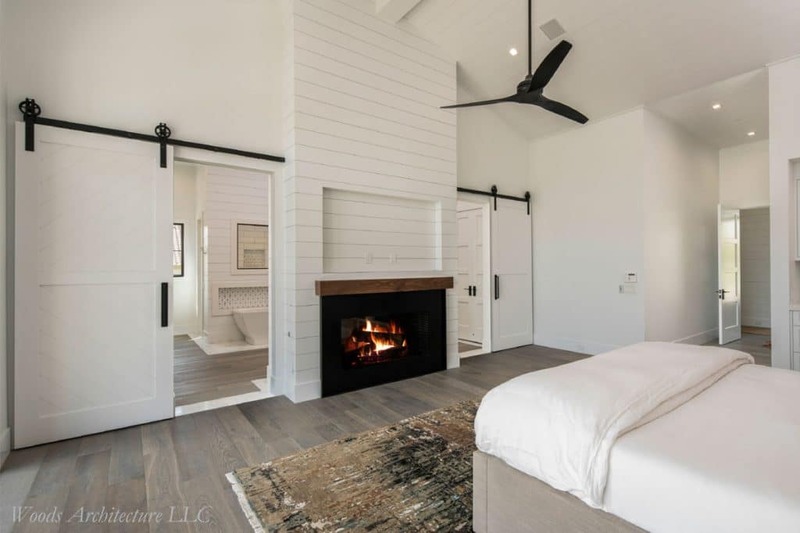 They incorporated the crisp clean lines of shiplap & a modern aesthetic; Then blended it seamlessly with the nostalgia of a classic American farmhouse. These guys live by the creedo ‘Make Craftsmanship Great Again,’ (see a walk through of the build in progress here). WindsorONE Shiplap on the soffits & porch lids. Protected S4SSE on the fascia & rake. 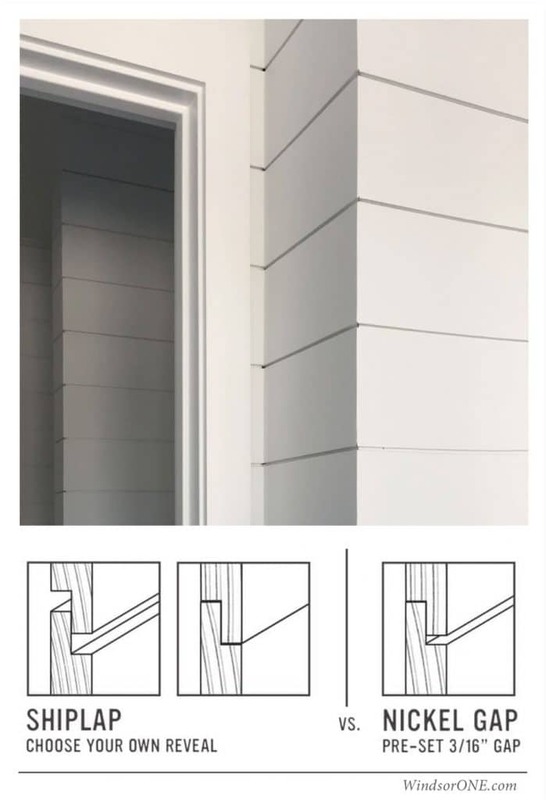 While not approved for siding applications; WindsorONE’s Protected shiplap boards do have a 30 year Warranty against insects, rot and mold, it’s durable for exterior soffits & porch lids. The Gold Indoor Air Quality Rating makes it safe to carry that look right inside. *NOTE, WindsorONE products are not recommended for any siding applications. 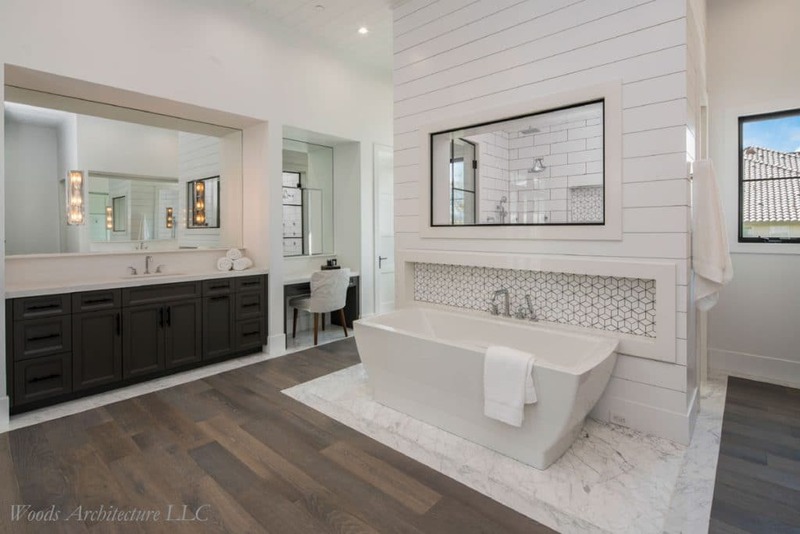 Here’s a list of appropriate uses for WindsorONE Protected Wood Trim Boards, if you have any installation questions, we want to hear from you! 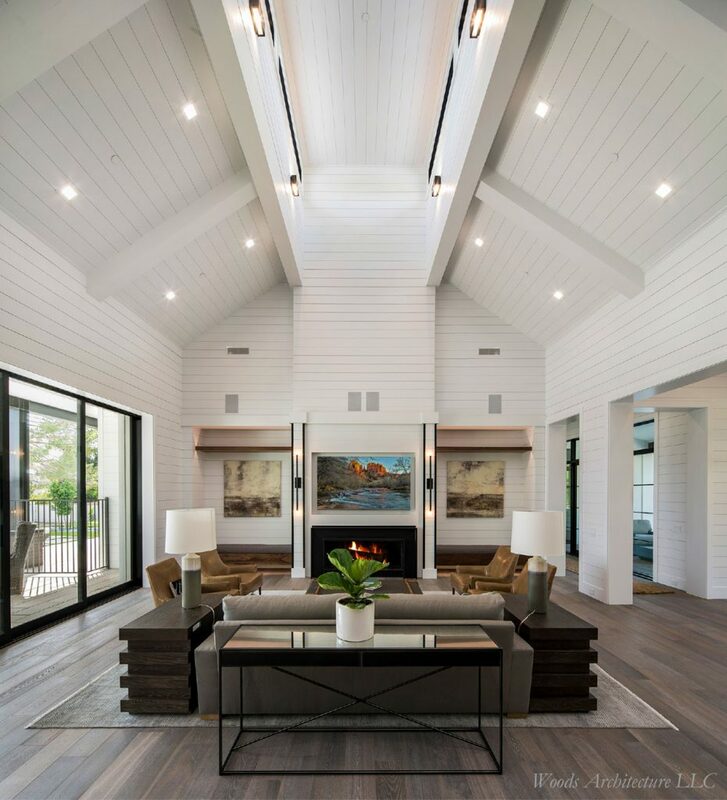 Shiplap helps make the most of this great room, enhancing architectural features like the overmantel and rafter space above. 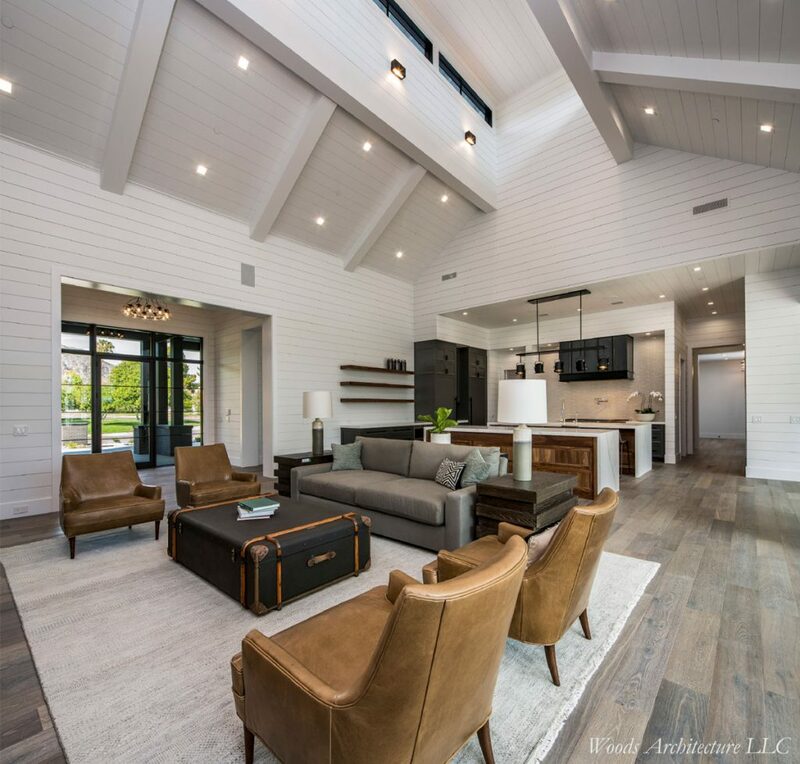 Another view of the great room in this modern farmhouse. 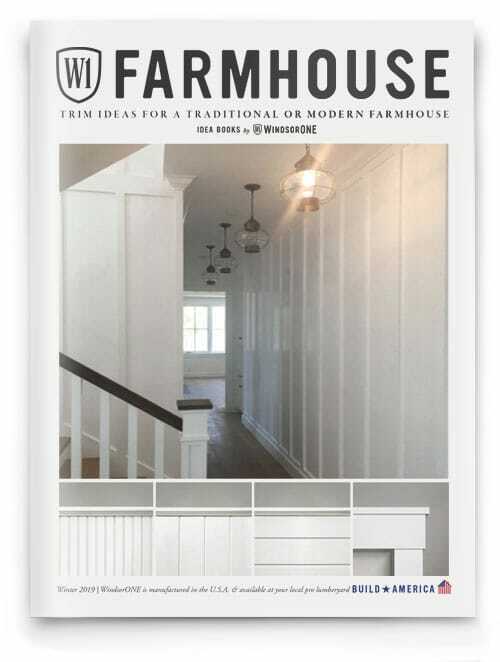 Minimalist casings are often found in both modern & traditional farmhouse projects. 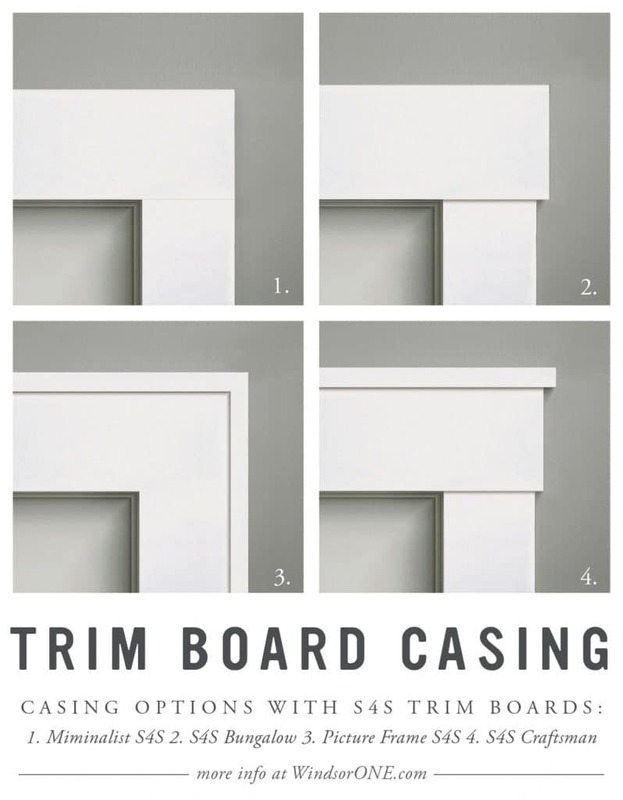 Above are 4 examples using WindsorONE S4SSE Trim Boards. Go from boring to beautiful with a shiplap upgrade as illustrated above. NICKEL GAP: Consistent pre-set gap for easier installation, Smooth Finish, Available in Traditional only. 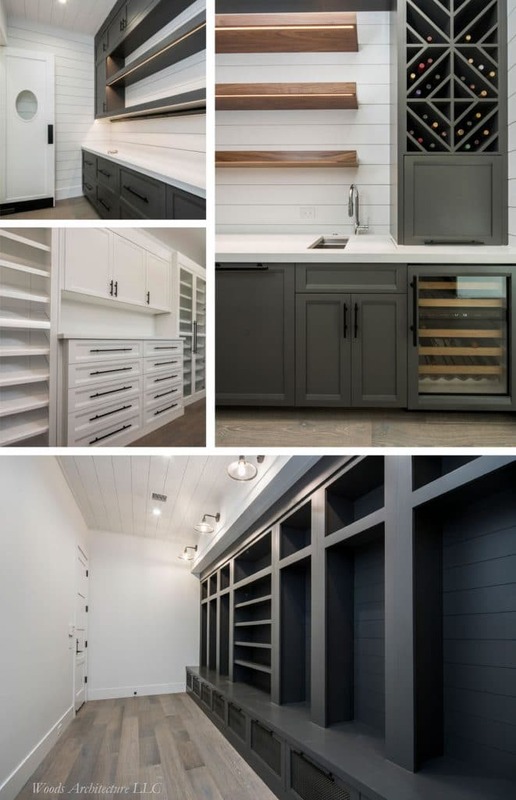 Thanks again to Woods Architecture LLC & Seven Development for sharing images of this project, excellent work! Shoutout to Capital Lumber & 84 Lumber in Chandler for supplying the material!